2018 marks the 300th Anniversary of the city of San Antonio, Texas. On May 1, 1718, Spanish missionaries established the Mission San Antonio de Valero - later known as the now-infamous Alamo - in the heart of the city. Four days later, the Presidio San Antonio de Bejár was created to protect the new mission. 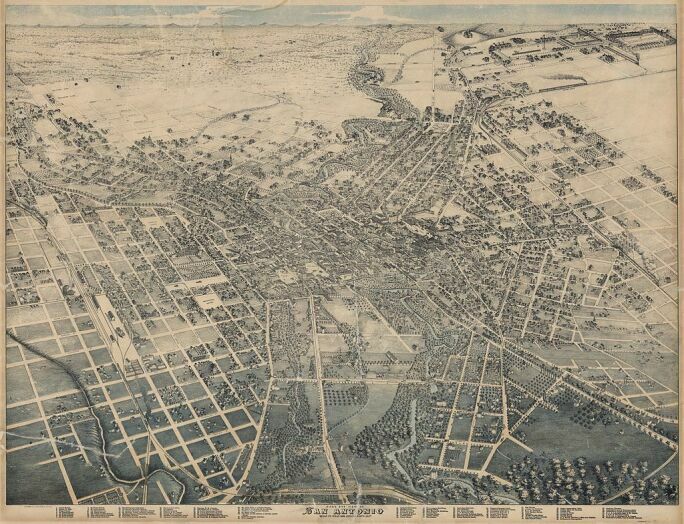 Today, San Antonio's five missions still stand as testaments to the city's rich and culturally diverse history. 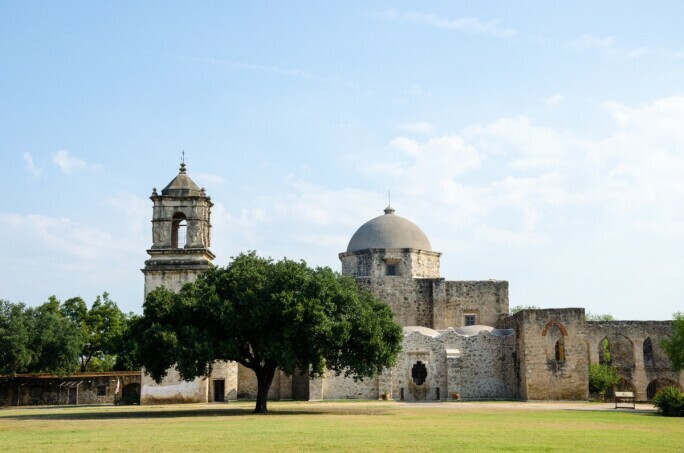 They are protected as part of San Antonio Missions National Historic Park and form the only UNESCO World Heritage site in the state of Texas, drawing hundreds of thousands of visitors from around the world each year. Beyond the city's extensive tricentennial celebrations, there are plenty of other reasons to visit San Antonio - noted by National Geographic as one of the top travel destinations in 2018. Sotheby's Museum Network sits down with cultural leaders and regional experts to discuss the best of what San Antonio has to offer. SMN: What are some of your recommendations for museums and cultural sites in San Antonio and the surrounding area? RA: The McNay Art Museum is my hands-down favorite art museum in Texas, followed by Houston's Museum of Fine Arts and the Menil Collection, including the Rothko Chapel. I spent my early summers in Houston with family there and fell under the city's cultural spell in the later 70s and 80s ... All five San Antonio Missions are also at the very top of my list, followed by the San Antonio Riverwalk - particularly in the city's King William District - and the Pearl Brewery Complex, which is a model of historical preservation. SMN: Can you share some lesser-known sites or 'hidden gems' of San Antonio with us? RA: Maria's Cafe on Nogalitos has the very best tacos outside of Mexico. Presa House in the city's Southtown District is a wonderful showplace for emerging talent in the city's thriving arts scene. And Cave Without A Name is spectacular, especially if you can catch a concert in the Throne Room. Pair it with dinner at Brantley's Bistro in nearby Boerne, and you've the makings of a perfect evening! Further out of town, I'd recommend Gruene in the Hill Country. Between the first dance hall in Texas and the beautifully situated Gristmill Restaurant perched high above the Guadalupe River, Gruene is a great Hill Country destination, and it's under an hour from San Antonio. SMN: Do you have any hotel and dining recommendations for first-time visitors? RA: Cured at the Pearl, Signature at La Cantera Resort, and Soluna in Alamo Heights are all great. I also recommend the Hotel Havana, Hotel Contessa, and Hotel Emma in the Pearl. SMN: What's the best time to visit San Antonio, and how do you recommend getting around? RA: The climate here is always welcoming, even in the height of summer. Having navigated New York City winters for the last twenty years, I still treasure every day that's not below 30 degrees - and there are thankfully so many of those! It's an extensive city, and your best bet is to travel around by car. That said, the Riverwalk is bike-friendly and the newly extended Mission Reach bike path is a great way to explore the cultural heritage sites. Annually, the most noteworthy event is Fiesta. I'm already counting down the days to this year's iteration! SMN: You're a leading voice in San Antonio's cultural scene. Are there others you follow for inspiration? RA: Patricia Ruiz-Healy is a cultural force in San Antonio. Through her local gallery, she has introduced both emerging and established artists from across the country and Mexico to San Antonio's public and private collectors. Patricia is smart and thoughtful, and she has a gift of identifying talent very early on in an artist's career. Pedro Martinez, the superintendent of San Antonio Independent School District, is a thought leader who is committed to elevating our education system across the spectrum. And the McNay's Board of Trustees Chairman, Tom Frost, is my moral compass; he exemplifies civic and cultural leadership at the highest level. I'm very grateful to be in his presence - and often - thanks to his support of and belief in the McNay. SMN: Thank you so much for your time and thoughtful insights on San Antonio. Do you have any further comments? RA: I'll close by saying that I've never lived in a more welcoming city, anywhere. San Antonio is also a place of great vision and optimism. If you bring a compelling vision for the future here, it can - and often does - take root ... and soon thrives. I've never been given a greater platform to make a difference in my career, and I intend to make the most of this very special opportunity in a model U.S. city of the future. Dr. Aste is a third generation South American with roots in Peru, Bolivia, and Chile. He was born in Lima, and spent his formative years in Miami. He received his B.A. in Psychology from the University of Michigan, Ann Arbor and later pursued an M.A. in the History of Art from Hunter College in New York. Dr. Aste’s additional graduate work also focused on the Italian Renaissance and included two years of dissertation research in Florence, Italy. He then taught art history at Hunter College and worked as an Old Master specialist in New York, London, and Rome. He received his Ph.D. from the Graduate Center of the City University of New York. He is a 2016 fellow of the Center for Curatorial Leadership. Dr. Aste assumed his first full-time curatorial role as Associate Curator of European Art at the Museo de Arte de Ponce, where he co-curated the exhibitions El Greco to Goya: Masterpieces of Spanish Painting from the Prado, The Journey to Impressionism, Masterpieces of European Painting from Museo de Arte de Ponce, and The Age of Rodin. In 2010 he joined the Brooklyn Museum as Curator of European Art and later served as Managing Curator, Arts of the Americas and Europe. 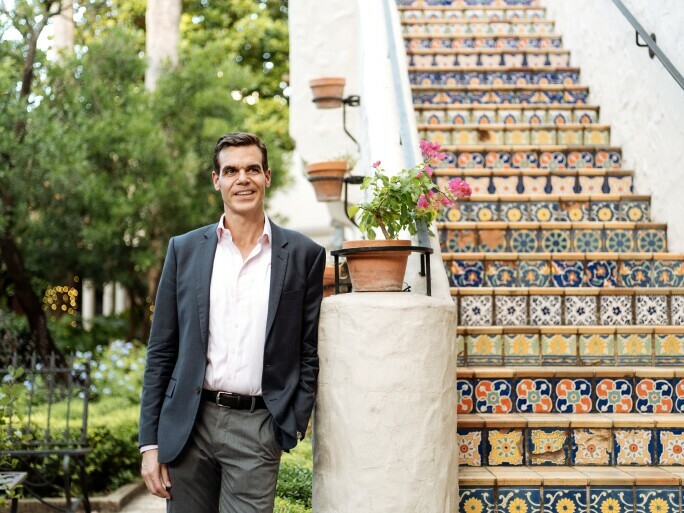 Dr. Aste joined The McNay Art Museum as its third director in August, 2016. For more on The McNay Art Museum, click here. SMN: Which museums and cultural sites do you recommend in San Antonio? WKR: Of course, the San Antonio Museum of Art is my top favorite. I also admire the McNay Art Museum and the Blanton Museum at the University of Texas at Austin. Our UNESCO World Heritage Monument Missions are both five distinct jewels and one great combination site. I also find the entire city itself a historical city, as we are a blend of several strong cultural traditions, all existing at once, that you can experience just by spending time here. Finally, I truly love the San Antonio Zoo, which is a beautiful zoo with great educational programs, lovely landscaping, and of course a menagerie of beloved and unexpected creatures. SMN: What are some of lesser-known sites worth visiting in the surrounding area? WKR: If you like mid-century architecture, we have it in spades, and still in use. We also have incredibly distinct, vibrant neighborhoods, all within the 410 loop that are worth driving around: from mansions with spreading live oaks in Monte Vista, Alamos Heights and Terrell Hills to bungalows in Alta Vista to antebellum jewels being restored in Tobin Hill, to neighborhoods with one-story ranch houses near the Quarry Market or in Castle Hills that would be the last word in designer chic in any other city. Get a good map and just drive! SMN: What is your recommended weekend activity for a first-time visitor to San Antonio? WKR: Come to the San Antonio Museum of Art! Also, don’t just stay downtown. Go to our beautiful parks like Brackenridge Park just off Broadway and see the city enjoying itself. Also, consider making a trip to a local botanica and picking up some candles and herbal remedies to make the cosmos bend to your will. The biggest and most famous of these is Papa Jim’s Botanica (5630 S. Flores Street). Of course, start your day with breakfast tacos. That’s a must while here in SA. Taco Haven (1032 S. Presa Avenue) or El Milagrito (521 E. Woodlawn Avenue) are among my favorites. 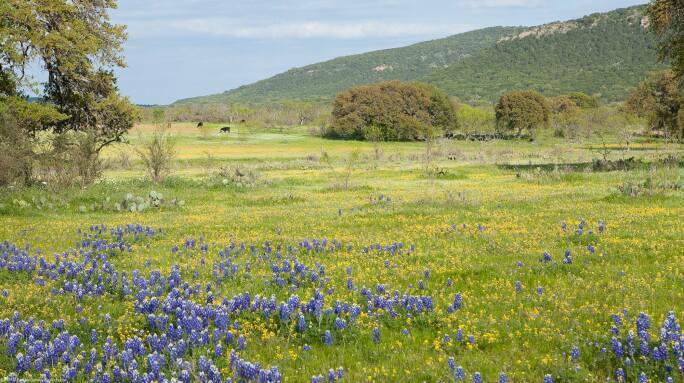 And, if you're visiting in March or April, rent a car and drive north into the hill country to see the wildflowers, especially the bluebonnets. Stop in Fredericksburg and have some great Texas wine. SMN: Are there any other culinary destinations to add to one's itinerary? WKR: Any of our Tex-Mex restaurants outside the Riverwalk, especially La Fonda on Main, a San Antonio classic (2415 N. Main Avenue). We also have exceptional soul food on the East Side, especially Mr. and Mrs. G’s (2222 S. WW White Road). For steaks, The Barn Door (8400 N. New Braunfel’s Avenue). Also, consider finding a neighborhood fruteria for shaved ice and fruit salad, like Las Nieves in my neighborhood (1118 W. Hildebrand Avenue or 4310 Blanco Road). Truly San Antonio! 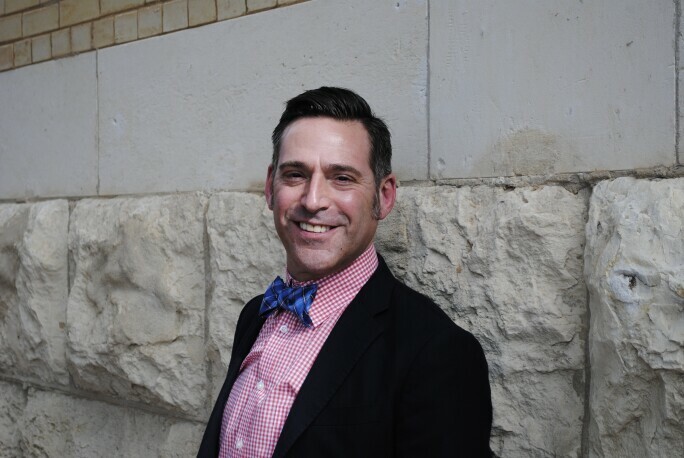 William Keyse Rudolph joined the San Antonio Museum of Art in December 2013 as The Marie and Hugh Halff Curator of American Art and Mellon Chief Curator, a newly created position supported by a grant from the Andrew W. Mellon Foundation and endowed by Marie Halff in honor of her late husband. Dr. Rudolph served at the Milwaukee Art Museum as the Constance and Dudley J. Godfrey, Jr. Curator of American Art and Decorative Arts since early 2011, and concurrently as Director of Exhibitions since 2012. He previously served as Curator of American Art at the Worcester Art Museum in Worcester, MA, and as the Pauline Gill Sullivan Associate Curator of American Art at the Dallas Museum of Art. 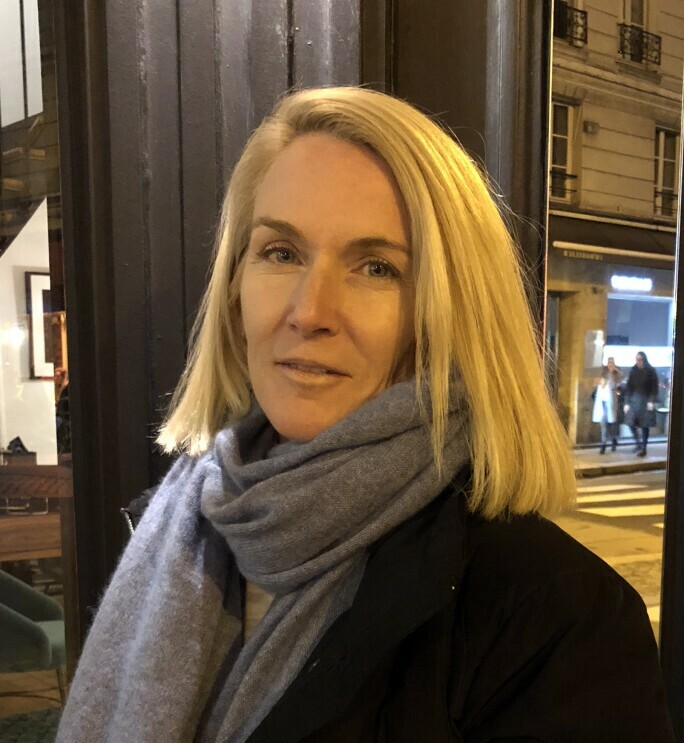 A Trustee of the Association of Art Museum Curators, Dr. Rudolph has held adjunct teaching appointments at the University of the Arts in Philadelphia; Southern Methodist University; University of North Texas; Worcester State University; and the Community College of Rhode Island. Dr. Rudolph earned his Ph.D. in the history of art from Bryn Mawr College, an M.A. in art history from the University of Virginia, a post-graduate diploma in the history of art from the Courtauld Institute of Art, and a B.A. from the University of Nebraska, Lincoln. 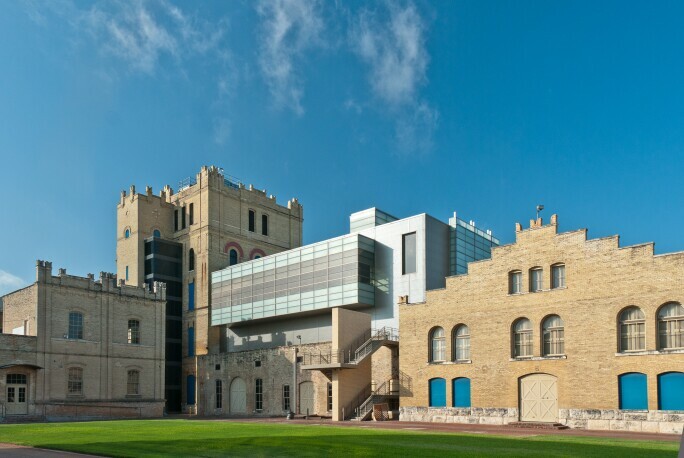 For more on the San Antonio Museum of Art, click here. 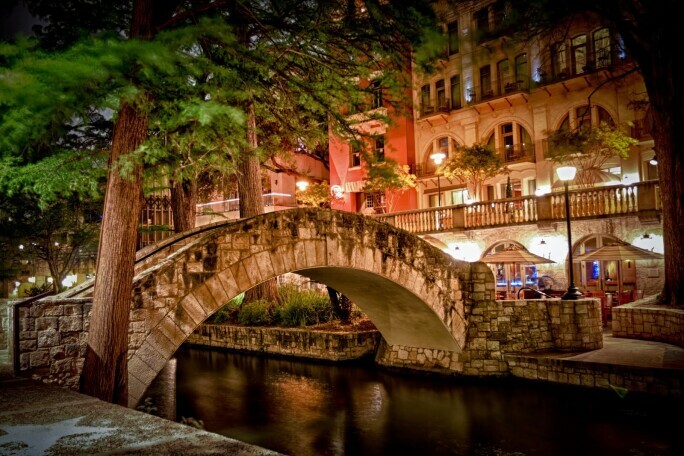 SMN: Tell us about some of your favorite cultural destinations in San Antonio. What do you love most about the city? ACF: I am originally from a small town in south Texas called Kingsville where I grew up on a ranch and have lived in San Antonio's Alamo Heights neighborhood since 1980. My husband and I also spend a fair amount of time in a neighborhood by the missions called La Isla en La Sombra de San Jose, which translates to 'the Island in the Shadow of Mission San Jose'. 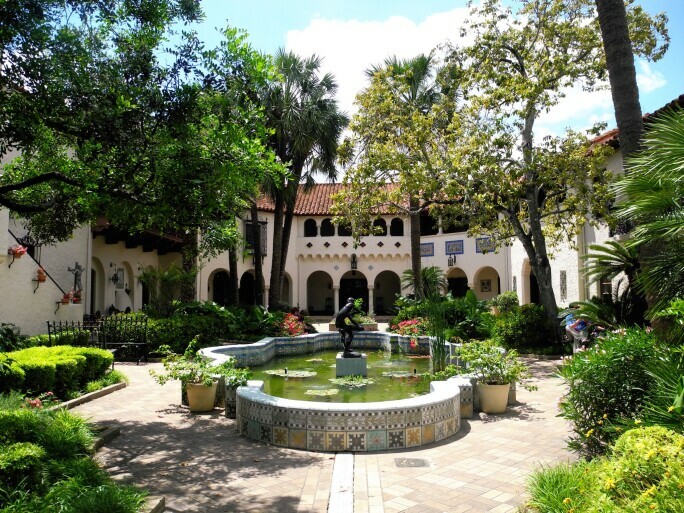 My favorite museum in San Antonio is the McNay Art Museum with its exquisite historic architecture and grounds. 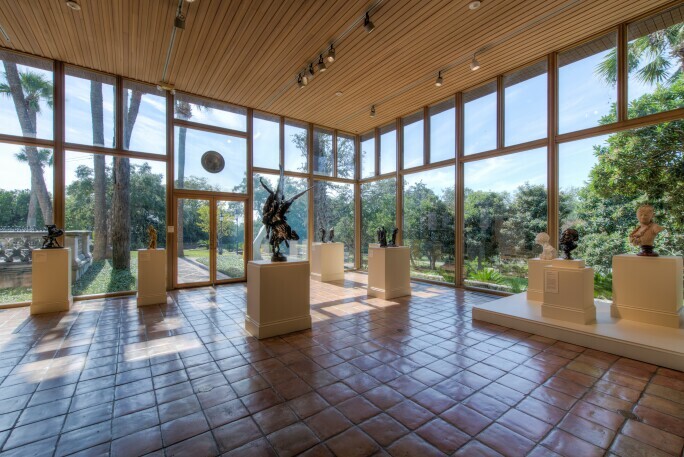 The McNay houses a strong permanent collection of 20th century works as well as temporary exhibitions of fresh, emerging artists. In addition to San Antonio's museums, I recommend visiting the historic missions via the San Antonio river and spending an afternoon in the San Antonio Botanical Garden which has recently enjoyed a stunning addition. Nearby, in Austin, I frequent the Contemporary Museum Jones Center and Laguna Gloria Sculpture Park. Another wonderful day trip is the historic King Ranch, just about two hours away from San Antonio along a nice drive through uncluttered south Texas. The Contemporary Austin. Photograph by Brian Fitzsimmons. Artwork ©Jim Hodges. Courtesy of the artist and Gladstone Gallery, New York and Brussels. SMN: What are some of your favorite hidden gems in San Antonio? ACF: Southtown is beginning to develop into a quirky little neighborhood with coffee shops, glass blowing ateliers and artist studios. Feliz Modern is a cool shop in Olmos Park and Sloan Hall is a chic boutique in Alamo Heights. Finally, if you're looking for authentic souvenirs, The Mariachi Connection is the place to buy authentic adelita dresses and mariachi outfits. SMN: What is the best time to visit San Antonio? 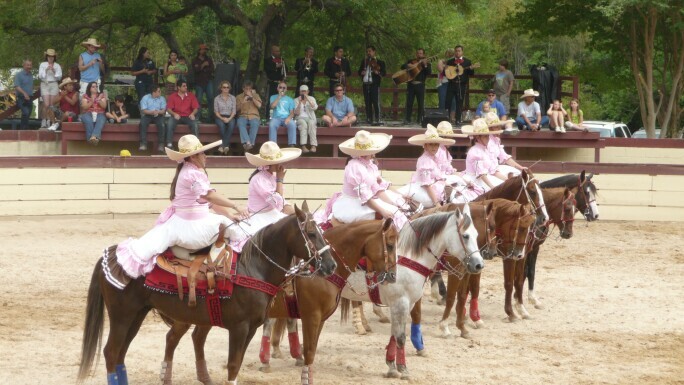 ACF: Come for the Charreada, a 400-year old tradition of Mexican rodeo held in a lienzo on Sundays in April and October. It is a full afternoon of folklore, charreria and music! Also, of course, Fiesta in April is a must. The city-wide celebration lasts for 10 days and is a defining cultural event for San Antonio. If you're looking for places to stay, my favorites include Hotel Emma - a world-class hotel situated in the Pearl Complex - and St. Anthony Hotel for old-school San Antonio tradition and afternoon tea. SMN: We've heard from several local luminaries in developing the Museum Network Guide to San Antonio; are there any other platforms or people you count on for insider knowledge? ACF: The Scout Guide is a good place to research local trends and businesses. I also recommend checking out the Uniform 300 Project; it's a wonderful photographic essay of the fabric of San Antonio's diverse citizenry! Alice Carrington Foultz has over 30 experience in the art world. Having served on local, state and national art boards, including the Texas Commission for the Arts, The President’s Committee for the Arts and Humanities, The Public Art Board of San Antonio and the White House Historical Association. Alice’s range of work has included curatorial work, art education, a radio talk show and the assembly of numerous private and public art collections. Recent accomplishments include overseeing a guaranteed percentage for public art in San Antonio as Chairman of the Public Art Board. She served as curator for San Antonio Spurs Sports and Entertainment from 2001 to 2012 where she helped assemble a “vision statement” for the organization and curated a 200 piece site specific collection. Alice’s curatorial specialty is helping clients develop a collecting focus by interpreting their tastes, influences and the message they want to convey. Artists in her collections range from emerging Texan artists to established Mexican and Cuban artists such as Ciao Fonseca and Rodolfo Morales. Alice’s museum affiliations include the San Antonio Museum of Art, Artpace, The McNay Art Museum and the Contemporary in Austin. She currently serves as Vice Chair of the Public Art Board concentrating her efforts on building a strong public art collection for the city. SMN: Are you originally from San Antonio? What are your top 3 favorite cultural destinations in the city? AS: I am originally from San Antonio, Texas and have spent most of my life here. However, my family has deep roots in Gillett, Texas. In the city, my favorite cultural destinations are the San Antonio Museum of Art, the McNay Art Museum, and Artpace ... I could easily keep going. SMN: For a first-time visitor to San Antonio, what are some other places to save time for? AS: In addition to the famous San Antonio Missions, make sure to visit Confluence Park, Hemisphere Park, the Japanese Tea Gardens, and the Espada Dam - perfect for a bike ride but remember to bring cash for the ice cream truck! I would also recommend the Farmer's Market at the Pearl and hitting a First Friday at Blue Star. SMN: San Antonio is famous for Tex-Mex and tacos; what are some of your favorite places to grab a bite? AS: Supper at The Pearl is a must. In addition, El Mirador, Taco Taco, and The Bottling Dept Food Hall are all delicious. SMN: What is the best way to explore San Antonio? AS: It's a walkable city, but you can also enjoy all the sites on bike via the city's many new bike paths. I especially recommend cruising along the Riverwalk. If you're up for it, rent a kayak and venture along the San Antonio River, take a ride on the new Via Culture bus, or hop on the San Antonio Zoo train for fun. SMN: We've been fortunate to hear from so many friends of Sotheby's in developing this guide. Who do you turn to for inspiration and insights on your home city? AS: Some of my favorite local luminaries include Dr. Richard Aste of the McNay Art Museum, Patricia Ruiz-Healy, Kelly O'Connor, Angelina Mata, Cruz Ortiz, Rodolfo Choporena, Caroline and William Carrington, Paula Owen, Danville Chadbourne, Hillary Conrey of Courtney and Co. Design, Tim the Girl, Cynthia Collins of Bungalow CCC, Elizabth Chambers of Bird Bakery, and Courtney Beauchamp of The Tiny Finch. All are resident experts on San Antonio and definite tastemakers. SMN: Any final words to share with our readers? 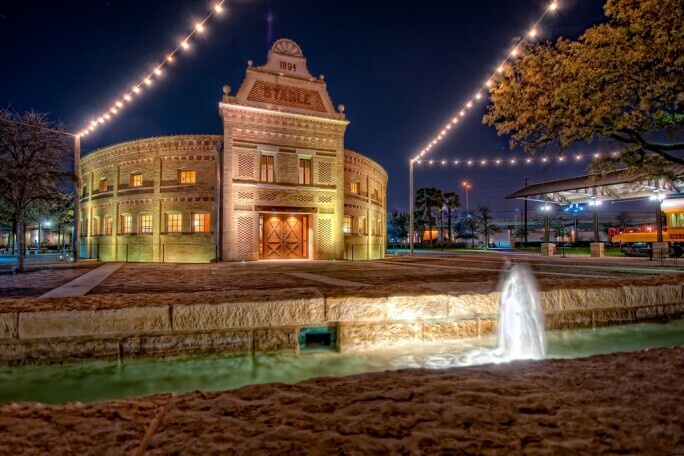 AS: San Antonio is a perfect blend of the arts, culture, tacos, festivals, outdoor opportunities, fiestas and rodeos. 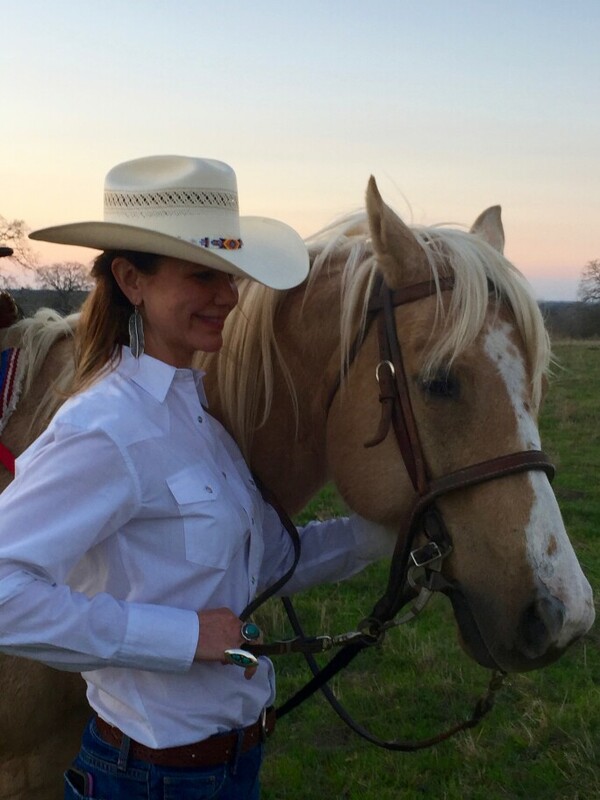 Amy Stieren Smiley is a native San Antonian with an appetite for art, culture, motherhood, and ranching. 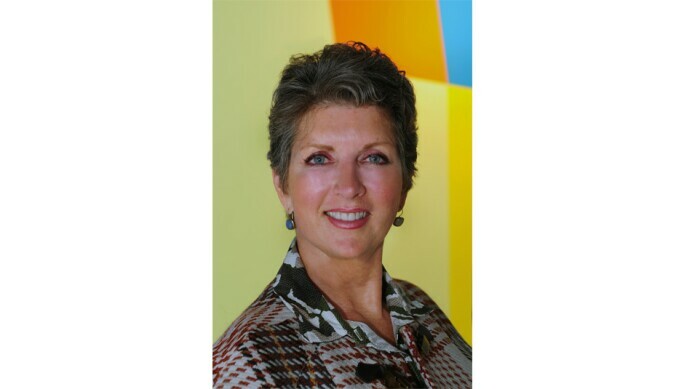 She serves passionately on the Board of Trustees for The McNay Art Museum where she is chair of The Art Committee, as well as, serves on many other working committees at the museum. She also serves on the board of the Elizabeth Huth Coates Charitable Foundation of 1992. Amy is the President of Sonrisa Management, L.L.C. a corporation which manages several properties, one of which is The Stieren Ranch, a working cattle operation in Gillett, Texas. The Stieren Ranch has been producing the same quality Angus cattle since 1956. She has three beautiful sons, four dogs, and usually a foster dog or two. SMN: Tell us a bit about yourself and what you love most about San Antonio. EC: I moved to San Antonio in 2004 from the San Francisco Bay Area, though I had had some familiarity with the city through my parents and had been visiting since 1990. I love The McNay Art Museum. Rene Barilleaux curates impressive temporary contemporary exhibitions and the permanent collection is very good, as are the historic grounds. I had a group show in their Stieren Center along with three other local artists on the occasion of the Museum's 60th anniversary. The Witte is another great place to visit; they have some fun events like Dinner in the Wild. 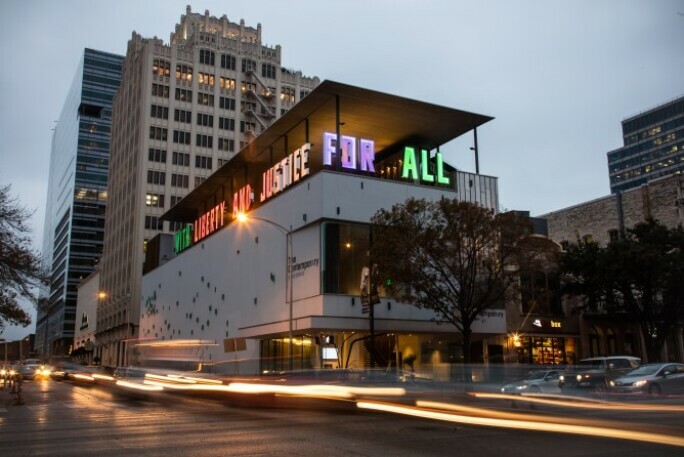 Artpace has put San Antonio on the contemporary art map. I have been at the Tate London and Beyeler Foundation near Basel and seen alumni from here in San Antonio which gives me a little home town pride! Last but not least, the Doseum is great for kids, though parents will like it too! The city can be very accessible and it is easy to get around. I can take my kids to the theatre or a show and be door-to-door in 15 minutes - that's priceless! We often to go the Tobin Center and Majestic and Empire Theaters; Bohanans and The Last Word are across the street from the latter for great pre and apre refreshments. SMN: What are some of your favorite hidden gems that visitors may not have heard of? EC: For a step back in time, you can't beat the King William historic neighborhood and Villa Finale. I also suggest checking out the San Fernando Cathedral lights, a 24-minute show by French artist Xavier De Richemont that happens nearly nightly. 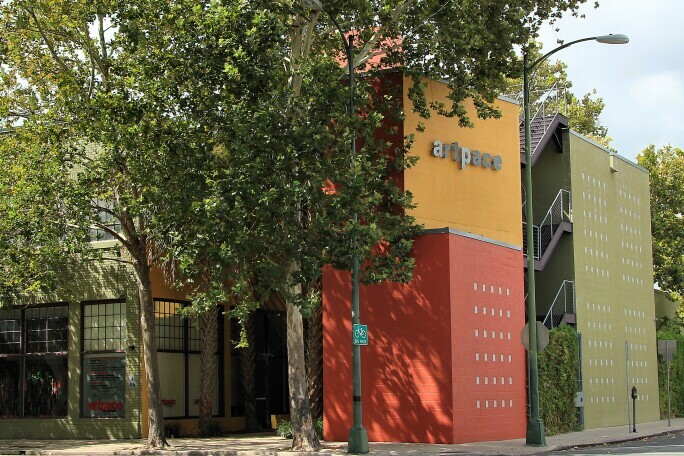 Chris Park and Space Gallery and the upcoming Ruby City are contemporary art destinations. The Southwest School of Art classes, exhibitions, and events are wonderful and Copper Kitchen Cafe is great. The Howard Norton Cook murals at the Grand U.S. Post Office at 615 East Houston Street across from the Alamo are a must-see. EC: Walk, run or rent the City Bikes down the Riverwalk to Mission Reach; explore BlueStar complex and then bike towards the Missions and the new Confluence Park, or walk the Museum Reach area and grab a refreshment at the outdoor Luxury by Chef Andrew Weissman. Another great option is to walk around the Pearl and/or bring a blanket and hang out in Pearl Park - there is always something going on, from weekend farmer's markets to Wednesday night Soundcream Airstream sunset sessions. You could also explore South Town at night for First Fridays; many great contemporary art galleries and pop ups stay open late. SMN: What's on your restaurant and hotel short list? EC: Bliss, Pharm Table, La Frite, and Tucker’s Cozy Corner are excellent. We have amazing chefs in San Antonio - there is even a neighborhood petition to bring back the sadly closed Bistro Vatel! For hotels, you can't beat Hotel Emma (everything about it is fabulous). The Hotel Havana has a great restaurant called Ocho by Liz Lambert. Last but not least, La Cantera Resort and Spa is nice if you want to stay a bit outside of the city. SMN: When is the best time to visit San Antonio? EC: It's great to visit San Antonio during Spurs Season; be sure to tour the art collection throughout the stadium where I have two murals on view! Other favorite events include the Blue Star Contemporary's Red Dot Art Sale, Artpace's Happening or Chalk It Up, and the Southwest School of Art's Fiesta Art Fair. SMN: San Antonio is home to so many cultural trendsetters and visionaries. Who do you follow? EC: Tim the Girl, Elizabeth Johnson, Camille Mandigo and Trade Craft, Sara Jessop (a major supporter of the contemporary art scene), and Aquarius Boutique, Marcus Sloan and Sloan Hall Boutique. Finally, some of the local artists I admire the most and collect include: Lloyd Walsh, Gary Sweeney, Scotch Willington, Tracy Williams, and Marks Moore. Elizabeth Carrington is best known for her colorful, pop art paintings, public art and textiles, all of which mix graffiti-style lettering, doodles and collage with graphic screen-printed imagery. her pieces comment on dogmas and widely held beliefs in popular culture and pay homage to times of revolution and upheaval that move the needle of society’s moral compass. her work is fun and whimsical yet often subversive, and is informed by her lifelong love of travel, music, the outdoors and action sports.